A year has gone by since Mumbai was attacked by the Pakistan based Lashkar-e-Tayiba. Following this attack India put a lot of pressure on Pakistan to shut down terror factories in their country. Several arrests and releases were carried out of Lashkar militants and Pakistan claimed that they have been able to deal with the problem to a large extent. The big question now is whether the threat of terror in India has come down or does it still loom large. What plans do outfits such as the Lashkar have on their mind and how do you think they would try and attack India once again. We spoke to security experts and officers in the Intelligence Bureau to assess the situation in India and what sort of threat the country faces still. According to security experts the terror factories in Pakistan are still very much open and they are constantly trying to destablise India. Ajith B Doval, former Chief of the Intelligence Bureau points out, “ threat from the terrorists depends on their intentions, capabilities and the opportunities they can seize. Larger the space that these variables provide, the more varied and higher the level of threat. 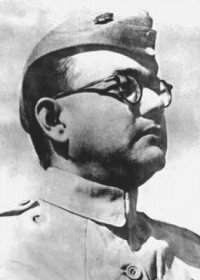 As the strategic intention of the terrorists is to destabilise India, which they consider necessary to establish supremacy of Islam, their tactical objectives stretch from targeting senior national leaders, destroying country’s vital installations, striking at economic targets to bleed its economy arousing religious passions and shaking faith of the people in the ability of the government in protecting them by wanton depredations leading to mass killings. Fortunately, the capabilities of terrorists fall far short of their intentions. However, they are still sufficiently high to inflict unacceptable losses against inadequately defended soft targets. Considering their present capabilities, they can target busy public places, centres of economic activity, tourist spots, infrastructural facilities like those in power and communications sector, etc. Of late, they have also been trying to acquire skills to hit cyber critical infrastructure. What is a matter of serious concern is the consistent and perceptible increase in their capabilities. Intelligence Bureau officials also point out that terrorist outfits have been constantly upgrading their skills. A senior IB officer points out that terrorists have undoubtedly upgraded their skills — particularly in leveraging and improvising commercially available technological aids to supports their operations. Their technology, communications, fabrication of Improvising Explosive Devices (IEDs), acquire use sophisticated weapon, obtain genuine or forged travel documents, ability to operate clandestinely using covers and alibis all have increased manifold. This has enabled them to inject higher degree of surprise, speed and deniability in their operations. However they can counter our security forces and out-smart them in any engagement. The situation in Pakistan is, however, qualitatively different. The terrain, tribal factor, local support, large-scale culture of violence among certain societies for centuries, weaponisation of the civil society, etc. make it an entirely different ball game. It is compounded by the dubious policy of the government – particularly its intelligence of selectively patronising and supporting different terrorist groups. They have been running with the hare and hunting with the hounds and working as the single most important factor in accretion of the striking capabilities of the terrorists. 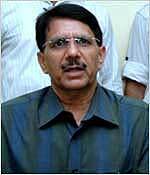 K P S Raghuvanshi, Chief of the Mumbai Anti Terrorist Squad says that the scenario as of today is different. We are better equipped to fight terror when compared to a year back prior to the Mumbai attack. Forces have been upgraded and we are also working on a separate intelligence unit considering the fact that Mumbai is very high on the terror radar. However we need to keep upgrading since the opponent cannot be taken for granted. We have to be prepared for a surprise element that they may spring upon us. A senior police official in Delhi who is part of the Anti terror team says that there needs to be proactive operations and intelligence will be a crucial aspect. We need to be constantly informed and upgraded about the new threats so that we can prepare ourselves accordingly. Ajith Doval points out India has tried to strengthen its protective security regime to deny them tactical opportunities by hardening the targets. However, in a country of India’s size, vulnerabilities, limited resources and democratic freedoms, it is not possible to make all the potential targets impregnable. This leaves large gaps providing opportunities to the terrorists to take on soft targets. This will require high interdicting intelligence capability. This will also require greater technology support and strengthening of our emigration, border security, check on flow of illegal finances, action against gun runners and breaking collaborative networks of terrorists with underworld, drug traffickers and organised crime syndicates. I think this area still requires much greater strengthening through structural reorganisation, pumping additional resources and accretion in operational capabilities. Only a high proactive intelligence capability can keep the country ahead of the terrorists and surprise them before the strike, rather than chasing them after the event. Biological warfare: This is an often spoken about threat by intelligence agencies and security ex This is an often spoken about threat by intelligence agencies and security experts. IB officials point out that while terror groups like the Lashkar have the capabilities of launching biological warfare, it is high likely that they may resort to this option immediately. The fact of the matter is that the Pakistan agencies such as the ISI and also the government machinery is not in favour of terror groups launching an attack of this nature. No terror group in Pakistan can independently launch biological warfare or use weapons of mass destruction against India unless and until there is a definitive nod from the government or the ISI. The IB says that it would be a whole other scenario if they even attempt using such methods against India. The consequences of such an attack would be severe since there is every chance of the international community isolating Pakistan in case they resort to such tactics. Doval points out that Pakistan will do everything under the sun to exercise necessary restraint and control over terrorist groups in order to restrain them from using WMD against India. Off late India has seen unexpected threat perceptions from both the Al-Qaeda and also from foreign nationals. It is only a clear indication that we are unaware of what sort of threat is looming large over us. The IB says that the man to watch out for is Ilyas Kashmiri and unless and until we deal with him, he could prove to be a nuisance to India. He is the face of the Al-qaeda and there is talk of him taking over from Osama Bin Laden. Al- Qaeda as an organization may not be very high but the ideology it subscribes to and methodology it follows can prove to be dangerous ever if a minuscule minority in the country starts subscribing or getting influenced by it. Moreover, there are many Pakistan-based organisations like Lashkar and Harkat-ul-Jihad-al-Islami (HUJI) which owe allegiance to it is and have been targeting India. Ilyas Kashmiri is operational chief of HUJI and till few years ago was a trusted operative of Pakistan’s Inter Services Intelligence (ISI). He served in the Pakistan elite Special Service Group and was trained with Pakistan’s Special Operation Unit by Britain’s Special Air Service. It was only on the bidding of the ISI that in the early 1990s, he was asked to join HUJI and build it up. He lost favour with the ISI after he turned down their request to join Jaish-e-Mohammad. Both ideologically and operationally he does constitute a potential threat as he is capable of mounting terrorist actions against India through his HUJI activists based in Bangladesh. In last few years he has come close to Al-Qaeda and undertaking operations on their behalf. As far as Brigade 313 is concerned, it is a loose coalition of five Jihadi outfits — Brigade 313 being one of them. Speaking on the threat from foreign nationals, Doval points out that Lashkar has always maintained trans-national linkages with Jihadi organisations abroad and tried to raise recruits among people of Pakistani origin settled abroad, either as citizens or residents in those countries. It makes use of these foreign based human assets for many errands. Involvement of Lashkar activists have come to notice in many terrorist actions abroad including the London bombings of July 7, 2005. Its activists had been under scrutiny in many countries abroad — cases of David Hicks in Australia, Richard Reid and Dhiren Barot in UK are illustrative. The brutality with which the 26/11 operation was carried out by “ten” fidayeens could be attributed more to the training of the ‘mind’ compared to physical training. According to experts, the training which is imparted to these men physically makes them tough fighters, it is the mental training and constant brainwashing that makes them brutal killers. A dossier prepared by the Intelligence Bureau states in detail regarding the physical training of fidayeens. In the words of an IB officer, these men are trained to become complete commandos. The IB officer told rediff.com that dreaded outfits such as the Lashkar-e-Tayiba give equal emphasis on mental training to ensure the boys who carry out the attack leave their hearts behind and “turn into monsters” while they are sent out on such a mission. The training on the mental side is done in two phases — one during the recruitment process and second before the men set out on their mission. The first part of the brainwashing is done by the handler. The handler picks and selects youth preferably in the age group of 20 and 30. The younger men are recruited for two reasons — one they are stronger and last longer in an attack and secondly these youth are easier to brainwash. These youth are told about the wrong being committed on their religion and also that there is a need to stand up and fight injustice. The handler also does a thorough study on the history of the youth and on most occasions they always see to it that youth who have been wronged by the system or have financial trouble are picked up. Once these youth are recruited, they are sent to the camps in Pakistan where they are trained physically. The physical training process lasts for nearly six months. After the physical training is complete, the crucial phase commences where these youth have to be readied to carry out the mission with a lot of brutality. The last 10 days of the training programme only involves brainwashing the youth. The IB says that this part of the training is crucial. Documents collected on the mental training process suggest that the fidayeens are brainwashed to kill innocent people. It is specifically told to them that they fight a religious war and also brainwashed into believing that all people except those who believe in the path of Jihad are anti-Islam. The LeT in particular which masters in fidayeen attacks have collected a lot of material to brainwash the youth. The material includes videos of Muslims being wronged, quotes and writings in which jihad is misinterpreted. For the men who carried out the attack on Mumbai [ Images ], a particular poem was read out to them several times. The Urdu poem speaks extensively about the need for jihad and why it is important to fight. This poem served as an anthem for the men who carried out the Mumbai attack. During the training programme, they were asked to rehearse this poem and during their mission these men kept reciting this poem which in turn gave them the strength and determination to carry out the attack non-stop for close to three days. Jihad jari rahega ta qayamat, Jihad hargiz naheen rukega ( Jihad will continue till the day of judgment and will not stop). After a meeting at the Jamaat e Islami Hind in New Delhi, held in the wake of the Jamia Nagar encounter in which two youth were shot dead and a police inspector was killed, they formed a five-member panel to counter the campaign against the community. Outlandish stories are being churned out by the police and lapped up by a stenographic media like the claim that the slain youths had received crores of rupees in their accounts while bank managers in Azamgarh said on camera that these youths had paltry sums in their accounts; or the fantastic claim that these same youths had planted bombs in Varanasi, Jaipur, Hyderabad, Ahmedabad etc. This logically means that since all the masterminds have been now killed or arrested, India from now on will not witness a single terrorist attack. There are umpteen terrorist organisations in various parts of our country working for a variety of secessionist and political aims. It is possible that there may be a few Muslims too who are taking to terrorism, but till today we do not have tangible proof of this. There is no proof that the Students Islamic Movement of India, despite its extremist views, ever had any armed wing or imparted any armed training to its members. All we have is tall claims by various people and agencies which were trashed by their own hand-picked judge of the tribunal formed by the Union home ministry. Moreover, close to 50 SIMI activists have been acquitted to date by courts across the country. We do not only suspect. Rather, we firmly believe that many acts of terrorism blamed on Muslims are in fact the handiwork of Hindutva terrorist outfits like the Vishwa Hindu Parishad, Bajrang Dal, Shri Ram Sena, Hindu Munnani, Hindu Jagran Manch, Yuva Hindu Vahini, Hindu Janajagruti Samiti and Durga Vahini etc. Members of these outfits have been caught red-handed in many places like Nanded, Tenkasi, Thane and more recently at Kanpur but these terrorist acts/explosions are hushed up. So much so that the government has conceded that the Hindu outfits are not under its scanner. The nation’s focus has now shifted to the Indian Mujahideen. What are your views on this outfit? The Mumbai Anti-Terrorist Squad came in for a lot of flak post 26/11 since many believe this high profile police unit was caught napping by the attacks. The ATS also lost its chief Hemant Karkare in the terror assault. ATS Chief K P S Raghuvanshi tells rediff.com’s Vicky Nanjappa that the Squad is now fully equipped to take on any eventuality. 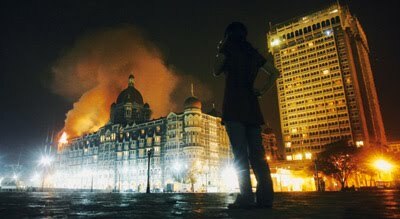 Is there a difference in the ATS post 26/11? There is a huge difference. A lot of thought went into upgrading the force following the Mumbai attacks. I would say that today we are a brand new force fully equipped to fight any aggression. What makes the ATS different? The Force One team has given the ATS a big boost. There are several commandos who are trained to fight terrorist groups and equipped with state-of-the-art arms and ammunition. We do not want this force to be lacking in anything. They are being constantly trained. How will this force operate? This is a force exclusively dedicated to fighting terrorism. The commandos are specifically trained to fight terrorists. However, I would not like to go into further details. There are certain technical details which are confidential in nature. Revealing such details would not be in the best interest of internal security. Can you provide Mumbaikars an assurance that a 26/11 type attack will never occur thanks to all these measures that you have undertaken? We are doing everything under the sun to prevent such attacks. But we must never underestimate the opponent. I am not aware of the strength of the opponent and we don’t want to take any chances. All I want to say is that we are in a much better position to take on the enemy. You have spoken a lot about the might of the Mumbai police. But you must be aware that there was a lack of coordination where intelligence was concerned. You had once said that the ATS would have a separate intelligence wing. What is the status of this? I had said earlier that the ATS would have a separate intelligence wing. This wing will become a reality very soon. It has been approved by the government. I feel a separate intelligence gathering wing is very essential for the force to work better. A dedicated intelligence wing would mean that this team reports to us directly. There would not be any lack of coordination or misinformation. However, I would like to add that there is a great deal of improvement as far as sharing intelligence is concerned. We are in constant touch with the Intelligence Bureau which keeps us updated and informed about developments. What about the terror modules in Mumbai? I would not be able to share information on this. But there is a steep decline in the number of terror modules and cells in Mumbai. We are constantly being updated about the situation and anyone who tries to create any disturbance on our soil will not be spared or dealt with lightly.